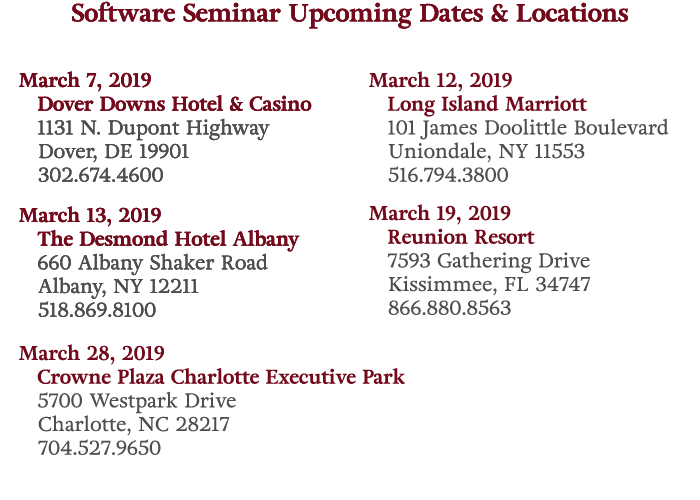 Thank you for your interest in our upcoming software seminar. Below you will find a complete list of our scheduled events and an agenda for the day. At the bottom of the page you will find a registration form. Please complete a registration form for each attendee. If you have any questions please feel free to email events@edmundsassoc.com.